You know, it's not as if cartoons based on video games are new. Mario. Sonic. Mega Man. Excuuuse Me Princess Zelda. The thing is, I don't think I can recall any of those ever being good. Fruit Ninja developer Halfbrick Studios seems intent on following in the steps of Rovio and ZeptoLab by adapting its most popular game into a TV series. Interestingly, the company is partnering with YouTube to do it. The kid-focused Fruit Ninja series will be thirteen episodes of eleven minutes each, which is a sizeable commitment even for relatively inexpensive CG animation. According to the Australian company's press release, the series will be aimed at 6-to-10 year olds and their parents, and it will be accessible from the specialized YouTube Kids app and the various Fruit Ninja games on Android and other platforms. 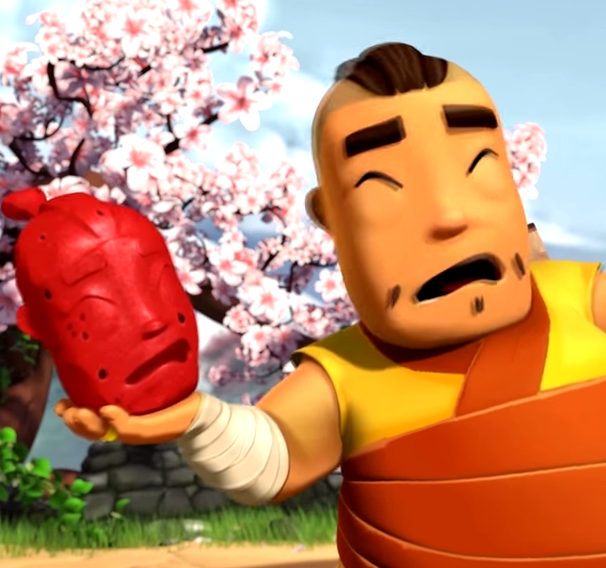 The official Fruit Ninja YouTube channel has had an animated teaser up for several months. It doesn't look half bad... at least compared to some of its predecessors. There seems to be a definite pattern here: as with Angry Birds and Cut the Rope (which both have movies in the works), the Fruit Ninja animation adaptation is coming well behind the point when the game reached its peak popularity. Maybe that's simply because it takes a lot of time to sell rights and pitch a movie or TV show. The rapid pace of mobile gaming (not to mention the fickleness of gamers in general) seems to be working against developers who want to expand into more traditional media. Halbrick didn't give a timeframe for the new Fruit Ninja series. Here's hoping we can get a Barry Steakfries cartoon before this fad peters out. BRISBANE, Australia--(BUSINESS WIRE)--YouTube, the world’s largest online video platform, and Halfbrick, the Australian game developer behind Fruit Ninja, will together produce a slate of original Fruit Ninja-themed content for YouTube. Halfbrick, with headquarters in Brisbane, Australia, is a top animation and entertainment content partner with YouTube. Starting with the company’s Fruit Ninja-themed channel, the two companies today announced the production of a 13 x 11 minute animated series. “Our partnership with Halfbrick builds on the huge amount of Fruit Ninja content already available on YouTube,” said Ben Grubbs, Head of Kids and Learning, YouTube Asia Pacific. The Fruit Ninja series will be highlighted in YouTube and the YouTube Kids app. The YouTube Kids app launched in the US in February this year with plans to expand to other countries in the future. Halfbrick’s Vice President of Entertainment and Licensing Sam White said that under the deal the company would produce an initial 13 x 11 minute animated series to be shown on its existing Fruit Ninja-themed YouTube channel. “The show will be targeted at six-to-10-year olds, for co-viewing with their parents. It will also be accessible from within Halfbrick’s Fruit Ninja games, which reach around 60 million users per month,” Mr White said. Celebrating its fifth anniversary this year, Fruit Ninja recently cracked the 1 billion download mark across iOS and Android devices, solidifying its status as a pop culture icon. The game still reaches an average of 60 million unique players per month.